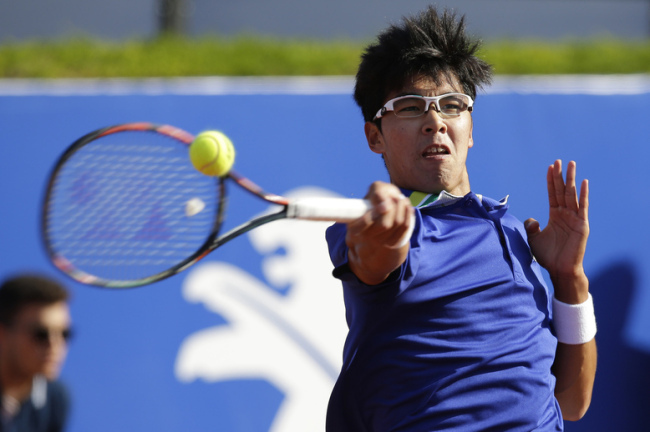 South Korean tennis player Chung Hyeon has withdrawn from his match against reigning Wimbledon champion Novak Djokovic, as his injury-plagued season continued in Canada. Chung pulled out of his scheduled first round showdown against Djokovic at the Rogers Cup in Toronto on Tuesday (local time) with a back injury. Chung, the top-ranked South Korean at No. 23, missed two months earlier this year with an ankle injury. At the Australian Open in January, Chung made a Cinderella run to the final four -- he beat Djokovic in straight sets in the round of 16 -- but retired from the semifinals match against Roger Federer with foot blisters. Chung has played in two tournaments since his return, reaching the quarterfinals at the BB&T Atlanta Open and then the round of 16 at the Citi Open in Washington over the past two weeks.